Exchange Online customers are now having users being asked to trial the new Beta experience for the service once more. But what happens if this causes confusion in the work-place and introduces higher help desk calls? 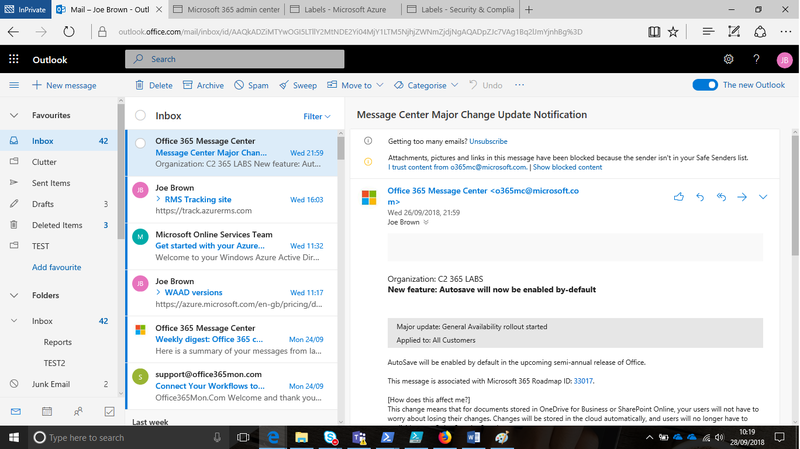 What happens if you are the IT Administrative function and you want to control when this experience is rolled out to your users? 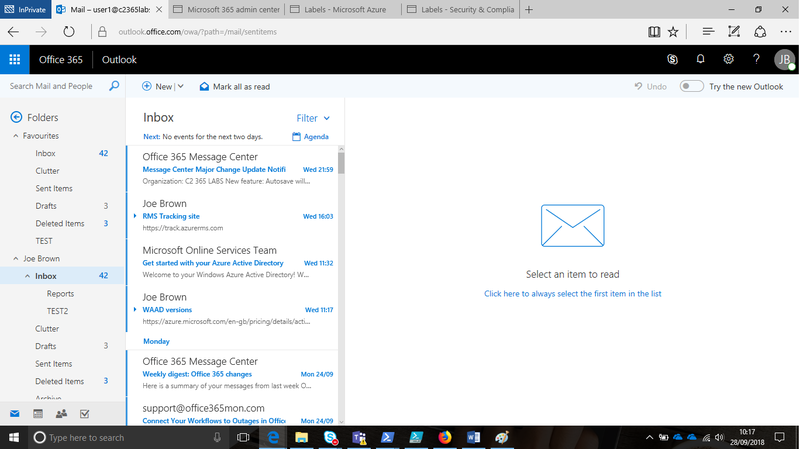 Well the good news is we can control it with Outlook Web App policies and some Powershell.. 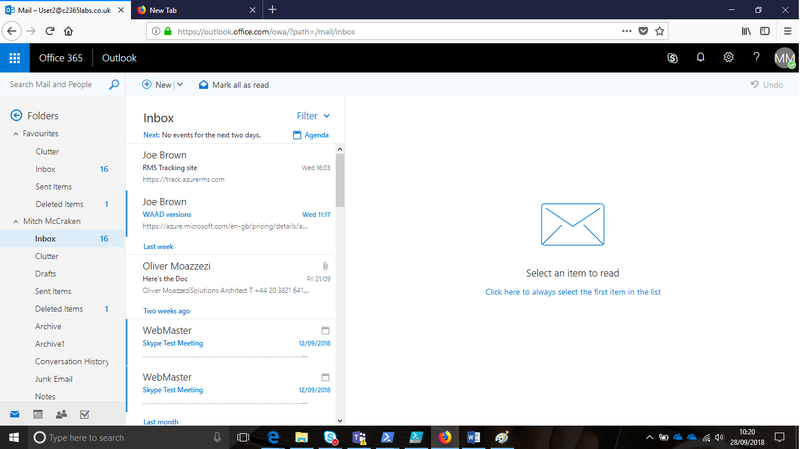 The new 'beta' experience, introduces a look and feel that is almost exactly what consumer users of Outlook.com have been experiencing for the last 6 months. 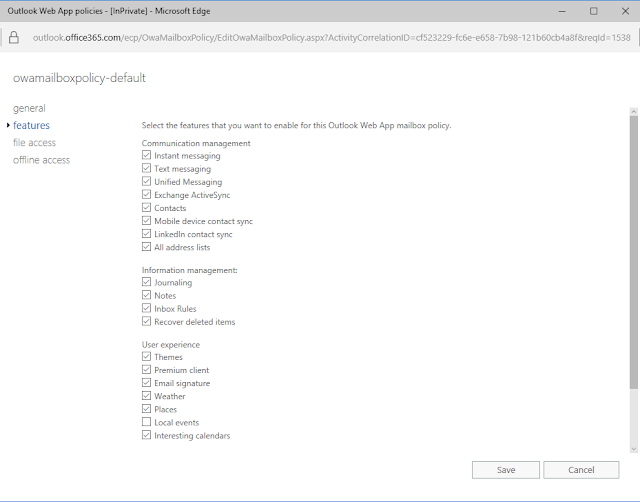 We can control this by removing the option to users by utilising Powershell and editing the default Outlook Web App mailbox policy or creating a new one and assigning it to users. You may even have multiple policies already in place and need to make multiple changes. 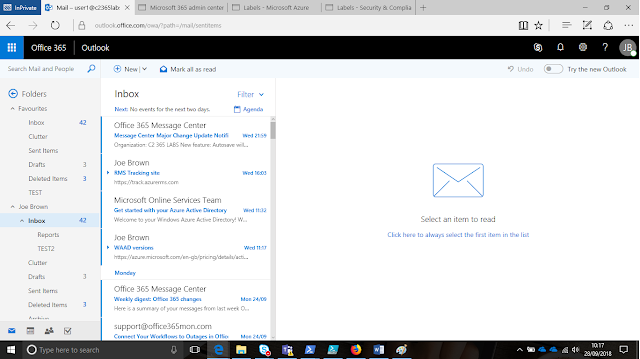 Here's what a user logged into Outlook on the Web looks like with the option removed. So why do we need to use Powershell to modify this feature? 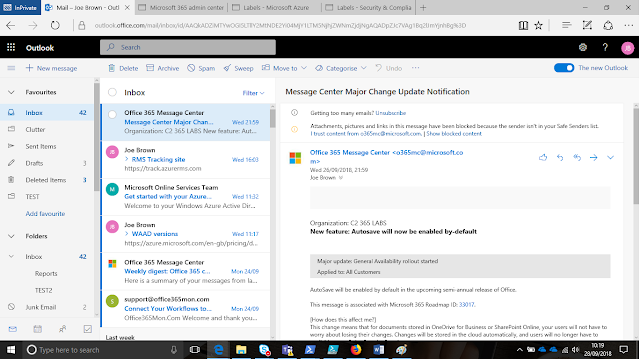 This is because you cannot control the Outlook Beta Experience in the Exchange Administrative Center - the feature control isn't there. 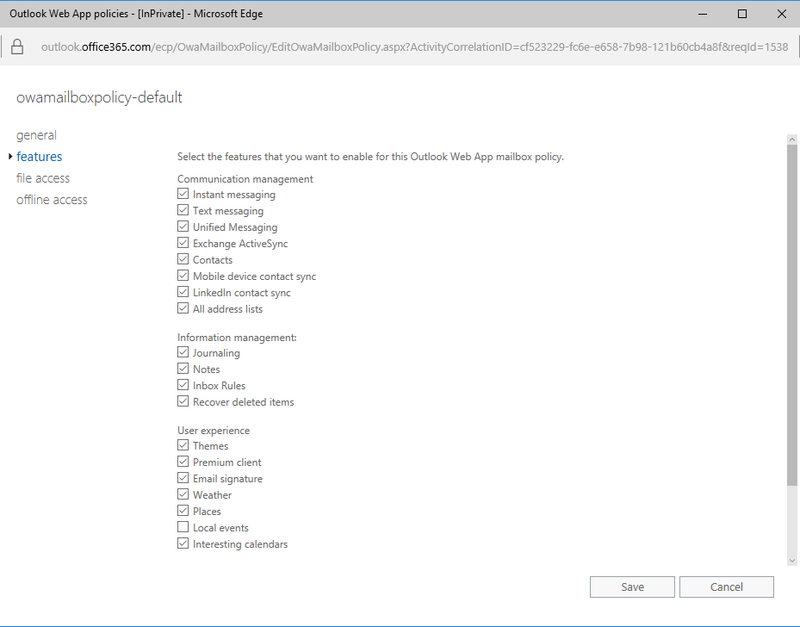 So open a Powershell connection to your Exchange Online tenant and let's use Get-OwaMailboxPolicy to check the policies you have in-place. You will most likely just have the default policy, unless you have created additional ones in the past. Set-CASmailbox -Identity user@domain.com -OwaMailboxPolicy "Policy Here"
Don't forget though, this change is coming and will wholly affect Kiosk and F1 plan users - so don't remove the feature and forget about it. Utilise this to control the experience whilst you inform users of the change.